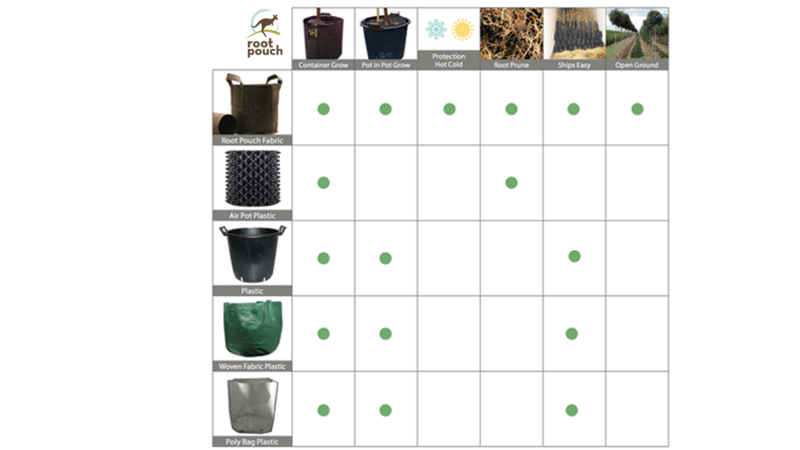 ​Root Pouch uses 21st century technology to produce the finest horticulture growing pots and bags available. Scientifically proven to produce healthy, strong, fibrous root systems on plants. Perfect for Agriculture, Horticulture, Hydroponics, Aquaponics, Indoor and Outdoor.